Antisemitic Cartoon and article cause an exchange of words. She wrote that Aussie journalist Mike Carlton had published an antisemitic article in the Sydney Morning Herald accompanied by an unmistakably antisemitic cartoon by Glen Le Lievre. Seems to me that these two with a history of antisemitism conspired to put this article together. 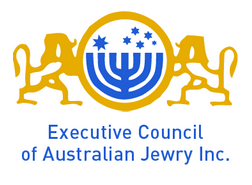 The ECAJ – Executive Council of Australian Jewry wrote to the Editor Darren Goodsir. No matter how much we may disagree with Mike Carlton’s article entitled “Israel mocks laws of war and norms of civilization”, which appeared in the July 26, 2014 edition of the Weekend Herald, the publication of the clearly antisemitic Le Lievre cartoon, which accompanied the article, was completely unacceptable. In our view this is racial vilification not only in the sense of offending, insulting, humiliating and intimidating Jews as a group but also in the sense of inciting third parties to hatred of Jews. Holocaust survivors in our community have compared the cartoon to those which they saw regularly appear in the 1930′s and 1940′s in the Nazi newspapers, ‘Der Stürmer’ and ‘Völkischer Beobachter’. Whether or not one accepts that analogy, the cartoon is, on any measure, crudely antisemitic. The ECAJ being for once showing some guts replied. We acknowledge receipt of your reply dated 28 July 2014. In our view it fails to address the substance of our complaint. Previous Israel Advocacy Update:No Light at the end of Hamas’ Terror Tunnels. 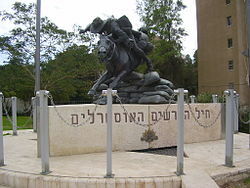 Next Arlene in Israel – Potentially a Huge Turn-Around. Jew-haters relish being called antisemites and they sadistically delight in witnessing Jews’ outrage. Carr and Carlton are allies in a well-orchestrated ALP and hangers-on campaign.